Happy Sunday everyone!! Meet our newest Customer of the Week: Stacie!! We couldn’t have picked a better customer/frame match here, folks. Caroline Abram makes some pretty sweet cat eyes, but it takes a special person to rock them with finesse and class. 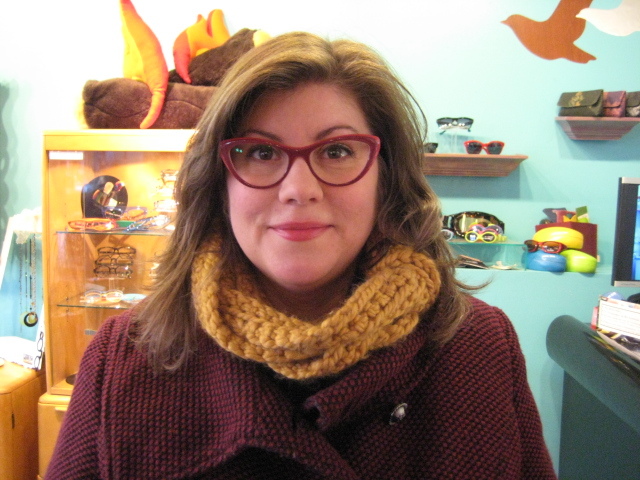 Whelp, Stacie does that and more with this Caroline Abram “Ines” frame in red and cherry. Stacie looks like she came camera-ready for this photo shoot, but that’s just her natural beauty accentuated by those stunning specs!